Bryan tractor engine and Dave Nergaard’s piston valve Stanley block. Bryan Steam Engine, from Peru, Indiana made 65 steam tractors and 90 steam engines. This was in the 1920’s, and they made three steam cars. The big selling point was the water tube boiler design which used “Z” shaped tubes with fittings on each end so that any one that burned out could be easily replaced. The engines followed general Stanley design, except that they used piston valves. They were of the same displacement, 4” bore and 5” stroke, double acting with 90 degree cranks. 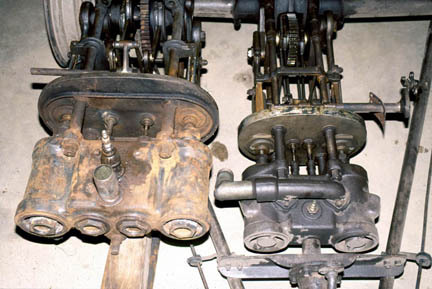 Because of the piston valves there was a wider spacing between the cylinders. They had much more robust engine frame members to minimize torquing. 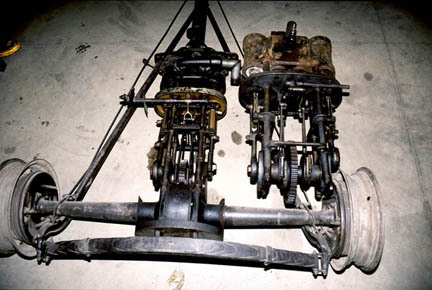 These engines were never used for replacement engines in Stanley automobiles because they were too wide and did not fit. Buck Boudeman pioneered using these engines in his Vanderbilt Cup Racer Replicas, replacing most of the moving parts with titanium parts and boring out the piston valves to their maximum to improve the breathing. Rough estimates are that this engine can produce 300 hp. 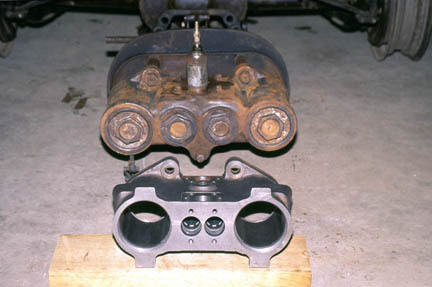 These photos show the Bryan engine beside the Dave Nergaard 20 hp piston valve Stanley engine block that he has had cast and machined for replacement blocks for Stanleys. 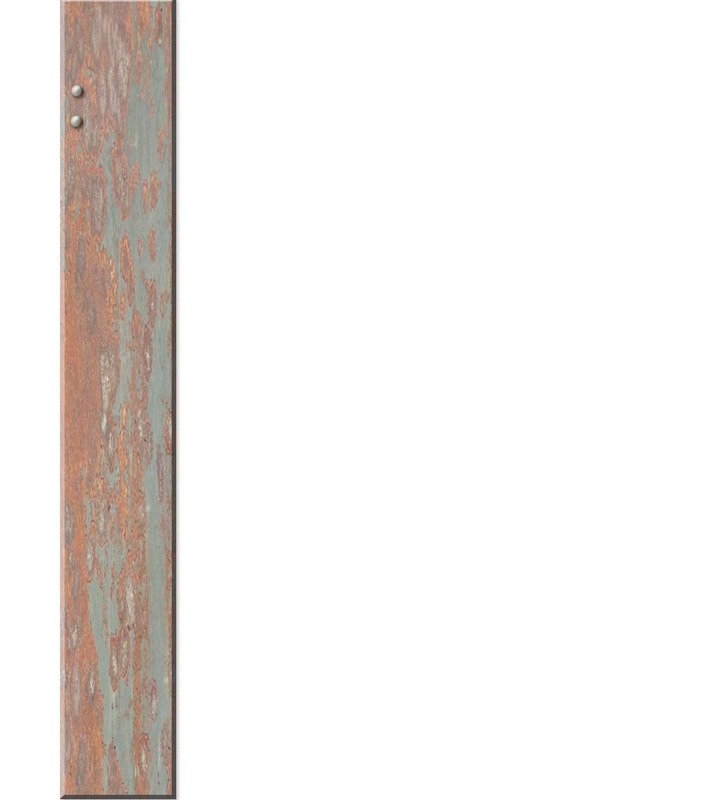 This block is about a 10% improvement in performance over the slide “D” valve Stanley and it is much easier to maintain because there will be no spalling on the valve face. It still has too long steam passages between the piston valve and the cylinder to be real efficient. Stanley 20 hp bolted to a 1936 Ford rear axle. 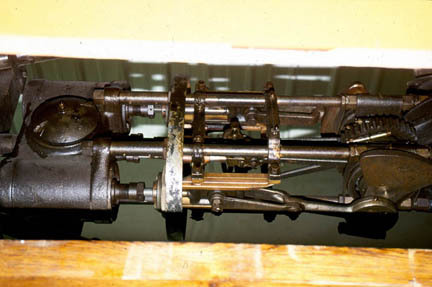 Stanley 20 hp engine showing light frame rods.